The two pilots were co-owners of VH-CNZ. She was a commercial pilot with over 10,000 hours, 600 of them on type. One blog post at the time said that she was a flight instructor. He was a private pilot with just over 2,500 hours and 120 on type. VH-CNZ was a Piper Twin Comanche which had just had a new propeller governor fitted on the left side. They were at Archerfield airport near Brisbane, taking the aircraft out to test the governor. The Piper Twin Comanche is a very fuel-efficient twin, with four tanks: a tip tank and an auxiliary tank on each wing. The fuel tank fillers are on either side of the engine nacelle. When the aircraft refueller arrived, the commercial pilot was sitting in the cockpit and the private pilot was doing the preflight checks. Conditions were good but it was late afternoon and the sun was low in the sky. The pilots may have felt under pressure to hurry before the sunset. After the plane was fuelled, the aircraft taxied to Runway 10 right for take-off. The plane departed at 17:15. It impacted the ground at 17:16. 17:14 CNZ Archer Tower Twin Comanche Charlie November Zulu is ready Runway 10 right departing to the southeast (male voice). 17:14 Tower Charlie November Zulu Tower Runway right cleared for takeoff. Immediately after take-off, the Tower controller spotted a cloud of “greyish black smoke” coming from both sides of the left engine. He contacted the aircraft immediately. 17:15 Tower Charlie November Zulu there is smoke coming from one of your engines (pause) it’s the left engine. 17:15 Tower Charlie November Zulu did you copy? The aircraft passed abeam the tower still overhead the runway. There was sufficient runway and overrun to land the aircraft and decelerate significantly before reaching the boundary fence. 17:15 CNZ Charlie November Zulu affirm. We’re shutting it down and request a left turn back for landing (female voice). 17:15 Tower Charlie November Zulu left turn approved. 17:15 CNZ Charlie November Zulu (female voice). 17:16 Tower Charlie November Zulu clear to land. 17:16 CNZ Clear to land Charlie November Zulu (female voice). Shutting down the engine in a twin propeller aircraft causes a thrust imbalance. The plane will yaw towards the inoperative engine. When turning into the dead engine, there’s a tendency to overbank. The pilot must consistently counteract this imbalance. In a conventional twin-engined propeller plane like the Piper Twin Comanche, the left engine is considered the “critical engine,” as shutting it down has a larger effect than shutting down the right engine, as a result of the asymmetric blade and disc effects. An example of this effect in a single engine plane is that the aircraft will tend to yaw to the left when using a clockwise turning propeller. In a multi-engine propeller aircraft, the engine with the down-moving blades produces more yaw, which in this case is the left. The shutdown of the left engine requires more pilot input to maintain straight flight than the right engine would. The loss of the engine obviously also affects the flight performance of the aircraft. Initially, it is important to “clean up” the plane: to retract the landing gear and flaps, feather the inoperative propeller and ensure that the airspeed is maintained. This is especially critical at low altitude. The flight crew shut down the left engine and the aircraft yawed sharply left and then to the right before commencing a left-hand circuit at 100 feet above the ground. The landing gear was extended throughout. The left engine was shut down but the propeller was not feathered. 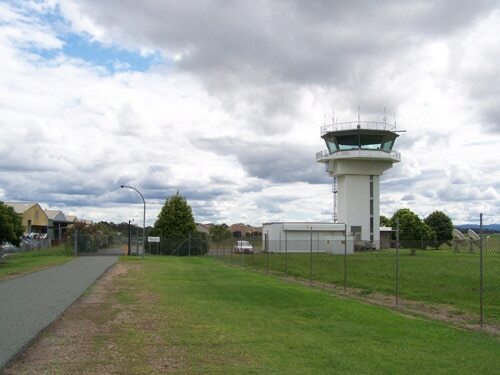 The control tower cabin at Archerfield is at 65 feet above ground level. 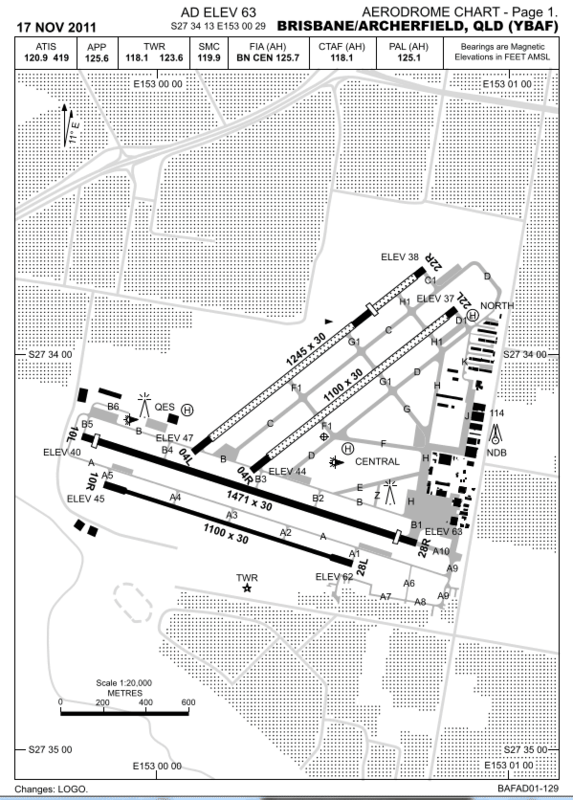 The controller reported that as the aircraft passed abeam the tower, it appeared to be slightly below the tower cabin. As the aircraft approached the western boundary of the airport, the aircraft turned left again. As it turned, the angle of bank suddenly increased. The Piper Twin Comanche was nose-down, inverted and rolling left when it impacted, 250 metres (820 feet) from the threshold of Runway 10. Both pilots were killed. There was no evidence of fire. The left engine showed no signs of damage other than from the impact. No pre-existing fault of the propellers could be found. Based on the ground contact marks, the right engine was developing significant power at the point of impact. The left propeller was rotating but the engine was not developing power. The left-wing fuel filler flap covers were open and both filler caps were missing. The caps were discovered on the runway and the adjoining clear way. The ground was wet under the inverted left wing where the fuel had poured out of the left tanks on impact. The aircraft refueller recalled that the private pilot who was doing the pre-flight checks said that he would secure the caps himself after re-fuelling, as they were non-standard. Checking the fuel caps are secure is a part of the standard pre-flight checks. The refueller stated that he filled the right tanks first and as he moved to the left side of the aircraft, he saw the pilot move towards the right tank. The refueller filled both the main and auxilliary tank is on the left side and placed the caps in the filler port of each tank. He did not secure the caps, as requested, and he left the flap covers open. As he finished the refuelling, he saw the pilot lying beneath the fuselage, apparently conducting a fuel drain check. He told the commercial pilot, who was in the cockpit, that he had added 179 litres of fuel to the tanks and reminded her that the fuel caps were not secure. The open flap covers were visible from the cockpit. The dark underside of the flap covers should have been clearly visible against the white upper surface of the wing. In any event, it is clear that the caps on the left wing were not secured and it is unlikely that the flap covers were closed. They might have been in a rush, as the sun was setting and they wished to complete the test that afternoon. The pre-flight inspection may not have been completed. In addition, as a result of the failing light, the open flap covers on the wing may not have been as obvious. As the aircraft rumbled down Runway 10 right for take-off, the caps fell from the left-wing filler ports. As the Piper Twin Comanche took off, the fuel vented from the open tank filler ports on the left wing. In the deteriorating light, the venting fuel appearing from either side of the engine nacelle appeared as smoke to the tower controller and witnesses on the ground. There’s no evidence that the pilots had any indication in the cockpit of a malfunction. It is unclear whether the pilots saw the “smoke” or recognised that the fuel flap covers were open. It appears they shut down the left engine based solely on the traffic controller’s report of smoke. Rather than clean up the aircraft, gaining airspeed and altitude before manoeuvring, the pilots turned directly into the dead engine. The left engine propeller was not feathered, the landing gear was not retracted and, from the beginning, the aircraft was low and slow. The pilots reacted to a non-emergency in a rushed manner. Rather than recognising the abilities of the Piper Twin Comanche under one engine and flying the plane, they turned into the circuit without preparation. As they entered the third and final left turn, they completely lost control of the aircraft. The left wing fuel tank filler caps were not secured before takeoff. Fuel vented from the left wing fuel tanks and had the appearance of smoke coming from the left engine. The pilot(s) did not take the appropriate actions to maintain aircraft performance after shutting down the left engine. The pilot(s) were unable to maintain control of the aircraft. Thanks to r/aviation for helping me to understand the effects of twin flight with one engine. This tragic incident underlines, again, the need to aviate, navigate, communicate. Emergency drills should be part and parcel of every pilots life, and practised every flight. These people died from ‘low and slow’, an entirely avoidable way to go. Hindsight is, of course 20/20 vision, and it’s easy to criticise. ‘I wouldn’t have done that’ is too easy to say. All of us develop shortcuts….a belief that the manual says one thing but ‘it’ll be alright’. All I would say to all pilots (including myself) is to remember those first few solo flights when you flew everything by the book, and handled the aircraft with delicacy and great care. Don’t cheat, don’t think that 2,000 confers some kind of immunity on you. What would you do with an engine failure after V1? You take off, achieve at least minimum manoeuvring speed, clean the aircraft up, gain sufficient height, and then work the problem. Height and speed. The difference between going home to your family, or them coming to see you at the funeral home. May God bless both of these pilots.